10/100Mbps NAT router and a wireless access point. 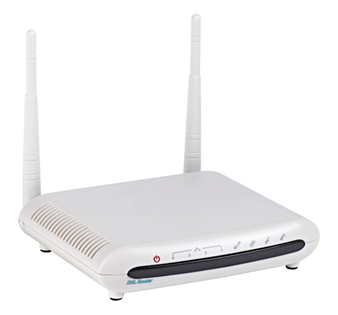 Supporting the latest ADSL standards, it is designed to give you a one-stop solution to acquire and share high speed Internet access over a wired/wireless network. With its two external high gain antennas is made for large-sized home, its high performance and stability answers consumer’s request for strong signal and wide coverage.